Amanda Murphy Design: Fat Quarterly's Swiss Chocolate Roll-Up Giveaway! I've become a follower, and my favorite "flavor" would be Chocolate.. mmmm yummy looking! I'm a follower and love the Mocha! I would definitely make the Chocolate Torte pattern quilt as it is adorable! I'm a follower and I love chocolate!! I like the pattern you have designed for this range and would love to make it! I've been a follower for a while. My favorite "flavor" would be Chocolate. It's beautiful. I just came across your blog. I like your posts. My favorite is the Mocha. I would make a quilt out of the strips. I find that I often pick out Robert Kaufman fabrics when looking for fabrics for a project. 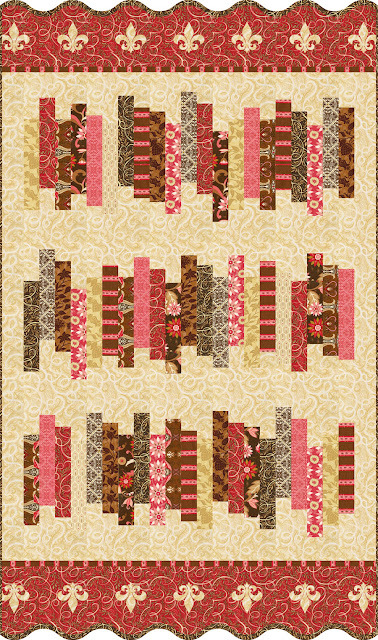 Hi Amanda I saw your blocks in the Swiss Chocolate over on Block-a-palooza and I love that fabric. Sorry I didn't realize you were the designer but now I know. I'm now a follower and hope to see more of your work. Thanks for the Chocolate Torte pattern. Hi Amanda, just became a follower of your blog. Discovered you through Fat Quarterly. Love all the Swiss Chocolate line but am drawn to the chocolate torte. cynthiamrutledge at aol dot com. OOo- very pretty! I already follow your blog on Google Reader. I lvoe both color ways, but this morning the mocha fits my mood! I've just become a follower. I love this fabric! It's hard to say which one I like the most but if I have to chose I chose Chocolate. I'm already a follower :) I love both but the Mocha calls to me. I have a skirt pattern from Sew Serendipity that uses jelly rolls, and I think I need one in this fabric line! Yummy! I like them both but would have to pick Chocolate because I love pinks! especially with browns. I think I might just make the quilt you showed. Looks cute and fun! I just signed up to follow your blog. Congratulations on having a booth at quilt market this spring. I like the chocolate version a little more than mocha but would love to make a quilt that uses both versions. Maybe a huge star quilt for our bed. I am a follower, thanks for the chance to win, I like swiss chocolate best. Have also downloaded some patterns - thank you. I have been following your blog for some time and really love it!!! I also love the Chocolate collection. Pinks and Browns, Yummy!!! I am a follower and I love the mocha one best. I am not sure what pattern I would use to make a quilt out of it, maybe one I haven't made before. I just started following you via Goggle reader. The mocha colorway is singing to me...blues and browns are one of my favorite color combinations. Signed up to follow. Enjoyed the read over at Fatquarterly too. Both lovely, but my heart beats a little faster for the Chocolate Torte. Thanks a bunch. I'm a follower. Wow, choosing between the two is difficult but I would have to go with chocolate. Love how bright the colors are. Thanks for the chance to win. I already follow your blog! I like the mocha, I would probably use it for a quilt! I just became a follower of your blog. Greetings from Germany! Amanda I love that fabric.Thanks for the opportunity to win.I've already created something beautiful with it...Have a wonderful weekend! They're both great, but I'm especially drawn to the chocolate one. P. S. I'm a follower too. I just love that mocha design. I'm already a follower. I like the chocolate swiss chocolate and would like to try my hand at making your free quilt pattern. Thanks for the sweet giveaway. Love them both but I think if I had to choose, it probably would be mocha. I am a follower. I like the chocolate best. Thanks so much! I'm now a follower of your blog. I love chocolate best. Really like this line! Oh my! Chocolate Swiss Chocolate is divine!!! 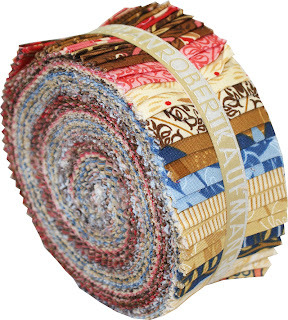 I would certainly make some sweet table runner for some friends with this lovely prize! Why oh why have I never thought to follow your blog before Amanda? I've been following you (and drooling over your work) all over blogland for ages! Congrats on this lovely new line! Just became a follower of your blog. Swiss Chocolate is so yummy I really like the Mocha colorway the best and would use it to make the White Chocolate Torte for a bed runner for my bed.Also love the "A Well-Dressed Table"! pattern will have to make some up, now to find some yardage of Swiss chocolate. I now follow your blog and I love the chocolate line. As for what I would make with it..... not sure yet. I would have to sit with it for awhile & let an idea come to me. I am a new follower and a great lover of chocolate!! I love the Mocha colourway and would probably make a lap quilt to snuggle beneath. Thanks for the chance!! I'm a follower now and love the Mocha. I would consider making some sort of updated log cabin quilt with it. Anything would be lovely made with the chocolate fabrics! I'm a follower now! Thanks for the great giveaway..and I'd love to win the chocolate, but I love them both! I just love the chocolate version...I have really been into red lately. Thanks for the chance to win that lovely roll! Good morning, Amanda! 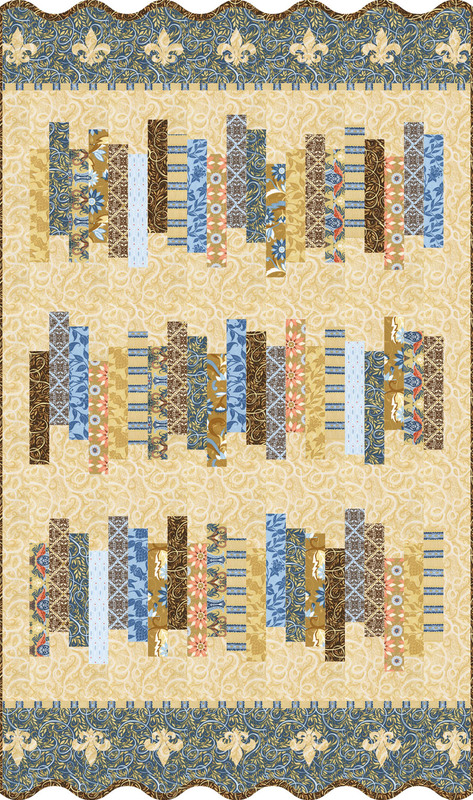 I am a follower, and thanks for your pattern, I love mocha, but either color combo would make a lovely quilt! Thanks for the opportunity to win . . . I became a follower and my favorite is the Mocha. Very nice! I'm a new follower and love your patterns. I think I like the chocolate best! I would like to do a striped quilt with some wonky squares thrown in for fun. I'm so pleased that I've been introduced to your blog and am now your latest follower. I love both flavours of Swiss Chocolate - I'd like to use chocolate for a lap quilt and pillows for the living room; the mocha flavour would suit me for some clothes for my daughter and maybe a handbag for me. Love this line - I would have to say my favourite would be the chocolate, reminds me of Valentines! I would love to make a beautiful table runner for my living room coffee table... Thanks for the chance to win! Love the new collection! The reds and salmon combo with the brown would be my favorite, but I do love the blue one too. What would I make? Maybe a throw for my family room or maybe a gift -- just don't know for sure. Both color groups are beautiful, but my favorite is the chocolate! I signed up to be a follower...thanks for the chance to enter! I am a follower to your blog. But I don't know if I could choose one color way over the other. I love the warm richness of the chocolate set, but the mocha one fits my house more. I guess I'll have to say mocha. I've always been a blue fan. Thanks for the chance to win your lovely fabrics. I'm a follower now - I love the chocolate line - and I would make your beautiful quilt! I'm a beginning quilter but I think I could do it :) The scallops might be a big learning curve but it would be so worth it to have it finished. Thank you so much for sharing inspiration and the giveaway. Go glad to meet you and find your chat over on Fat Quarterly. Looking forward to seeing what you have in store for us in the future. Oh yea, thanks for sharing your quilt designs. They are both just totally scrumptious ! but if I have to choose, it would be Mocha ! I'm from Hershey, PA so you know, I love chocolate! I really like the Mocha combination. I've become a follower and I would have to say that I like the chocolate. I love red and brown together. I would use your free pattern, it looks great. Thanks for the chance to win. I am a follower of your blog. I really like the mocha and would make a quilt for our spare room. Thanks so much. I am a follower and would love the mocha. I think I would make the quilt but it would look no where near as amazing as yours! I have become a follower and those two quilts are beautiful. Love the scalloped edges. I think if I was to win I would make the same quilt. Hi there, I am a follower and it is SO hard to decide which colorway I like better. They are so beautiful. I would have to go with the chocolate though, I guess. I'm more of a red than blue girl. I would be making purses and totes. Thanks for the chance to win! This fabric is beautiful! Love it as well as your pattern. Thanks for the giveaway. THE CHOCOLATE TORTE IS MY FAVORITE! I'D MAKE A NEW TABLE TOPPER FOR SURE! I love mocha! Oh i am a follower of course. I would love to make some really sweet pillows! thanks for the chance to win. Love the designs. I'm a new follower from France! I love your fabrics and the new line is yummy! I just became a follower (your blog is new to me and I look forward to reading more!). I love your Swiss Chocolate fabrics, and I especially love the reds/brown colorway. I'd make a quilt for a friend that I will be visiting this spring. I think a quilt would be a nice gift to take her! I've just become a follower - I came over from Fat quarterly. Delicious fabrics - I love the mocha. I would like to make some cafe curtains for my kitchen and accessories, like oven mitts and placemats as well. I've got blue in the tiles and this would make it all look very posh! Thanks for the chance to win some. I saw your fabrics and just love both color ways, sometimes I only like one, but both are so beautiful, would love to make something with both. I'm a follower and I love both the chocolate and the mocha. I'm not sure I could even pick because who's to say I couldn't use both in one project?!? Nonetheless, I have a new nephew coming in June and so I'd make a baby quilt for him in the mocha. :o). Beautiful stuff! I am now a follower! I love the chocolate! It would bake an amazing quilt and goes perfectly with the colors of my living room! I'm following you now. Love the mocha; it would make a beautiful quilt for our bedroom. I'm a follower! I love both, but the chocolate might be my favourite! I have just become a follower of your blog! I would have to make another handbag! I've become a follower of your blog. I really like your mocha torte. The colours and prints are fabulous! I think I'd make something for the main living area of my home... either a couch quilt or a set of placemats and a table runner. Love the new fabric! Just became a follower. Can't wait to sit down and look through your blog. I'm a follower, I thoroughly enjoy your blabbering, and I like the chocolate colorway. I want to make a quilted top for my twin-sized window seat. And a couple of pillows too! I love them both - YUMMMMMMMMMMMMMY! I am a new follower. LOVVVEEEE the decadent chocolate version. I think if I won I would try to make this very quilt. I love the borders and edges...great job!!!! I am a new follower found you thru the Im Just a Guy Who Quilts site and I am very happy that I found you and your designs. I love both the Chocolate and the Mocha. Both would look STUNNING in my living room and my mom's bedroom... So, it would be a toss up of where it would wind up... =) Thanks for the giveaway opportunity! I am a follower now. SOOOO in love with the designs. This was a tough decision on which colour I prefer but I might have to go with the mocha. Just because my home interior is mostly blue. Glad you asked what it be used for cause I already have a plan...sort of. I thought it be a fun challenge to create as many items for a kitchen set or pillow set using the fabrics. For example, towels, coasters, placemats, etc for the kitchen or a collection of different pillow design for the couch. What do you think? I am following your blog & I just love the blues with the browns in Mocha. I'm a follower and I love chocolate. I certanly would make your Swiss chocolate quilt, the one with petals... I falled in love with it! I am a follower and while I love both the colorways of this line I think the Mocha is more my favorite. As for what I'd do with it if I won...I think I'd carry it around with me and pull it out for regular petting. Beyond that...I'm just not sure.